BPW Adelaide advocates for women and develops leadership through building women's competence, capacity and confidence in their personal and professional arenas. Members work to take action for women's equality at work, on boards and in the economy. The Club was established in 1952 and is still going strong. Our members are drawn from a range of backgrounds including business, professions, trades, government and non-profits. Many members have leadership experience within BPW and on public and community boards. BPW Adelaide holds events open to non-members, with expert speakers on topics relevant to modern working women. We focus on the personal and professional development of our members and on advocating for changes that improve opportunities for women to engage in work and in business and to take up leadership roles. 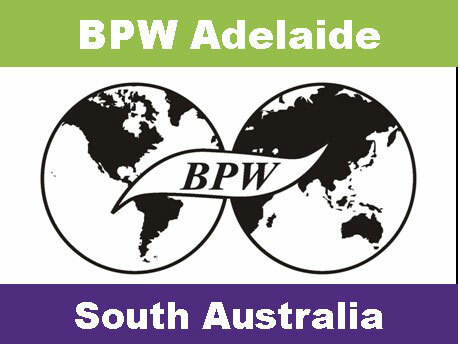 This PowerPoint presentation documents the history and achievements of BPW Adelaide and profiles current members. It was first prepared for display at the club's 65th anniversary, celebrated at SA's Parliament House in November 2017 and is continually updated. BPW Adelaide has also produced a history booklet to mark our 65 years. BPW Adelaide is holding our International Night Dinner and Candle-lighting Ceremony at The Caledonian on Wednesday 17 April. Please join us for an inspiring and convivial evening. Our speakers include member Yvonne Todd, Councillor for Mitcham, who will be joined by Jill Whittaker, Mayor of Campbelltown. 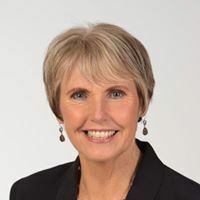 We will be announcing why and how BPW Adelaide is commemorating a revered past BPW member and leading South Australian, Heather Southcott AM, by establishing the BPW Adelaide Heather Southcott Scholarship Fund through UniSA. To mark the 125 years of South Australian women's suffrage, we have invited Katrina Powers to speak about the Aboriginal women at Point Pearce who voted in the first election after suffrage was granted despite the barriers being put up to their participation. Contact adelaide@bpw.com.au for booking information. Hawke Centre panel presentation 2017: Gender Pay Equity: How do we make it happen? BPW Adelaide marked Equal Pay Day 2017 with an expert panel presenting the facts about gender pay inequity in Australia. The event was held on Wednesday 13 September 2017 at the Hawke Centre at UniSA. The podcast is accessible through the Hawke Centre website at http://www.unisa.edu.au/Business-community/Hawke-Centre/Events-calendar/Gender-Pay-Equity-How-do-we-make-it-happen/. Our guest speaker was geologist and space scientist Dr Laura Rollison, who was a Program Visitor at the International Space University and lectures in the UniSA joint Southern Hemisphere Space Studies Program. Laura is an advocate for women in STEM and was named in the Top 50 women in Australia for the 'Superstars in STEM' program managed by Science and Technology Australia. She actively participates in STEM women mentorship programs such as the 'Women in STEM Speed Mentoring' event run by SA OFW in 2017. The evening closed with the BPW International Candle-lighting Ceremony. Click the image for the event video. If you are interested in finding out more about BPW in your local area, you are invited to join us at one of our meetings or events. Please check the events sections above to find out what's on this month. You can book online to attend. Come and meet our members and enjoy discussions with like-minded women. We are a diverse group of passionate women, working towards improving the working lives we and future generations will experience in Australia and globally. Professional interests and expertise across our membership include areas as diverse as ethics and governance, health policy and practice, secondary and tertiary teaching, small business in a range of industries and service sectors, representative government, finance and accounting, local government and community services. Women’s issues of interest include pay equity, access to affordable and accessible child care, discrimination in the workplace, financial security over a woman’s life-cycle and domestic/family violence. We hold 3-4 networking events per year for the women of Adelaide, with our regular member meetings used to plan these events, contribute to BPW Australia projects and submissions and undertake personal development activities. I hope you’re able to join us at our next public event, or as a new member at our regular meeting. In BPW, members matter most. We focus on personal and professional development and issues that are relevant to our members. We enjoy different types of meetings including networking dinners, expert speakers and panels, workshops to enhance our skills and social events where lifelong friendships are made. In 2016, a combined women's groups function hosted by BPW Adelaide celebrated 120 years of women's suffrage in SA. An amazing night with Frances Bedford MP dressed as inspiring suffragette Muriel Matters who was an absolute pleasure to have amidst us, telling us the history behind the day. Well done to everyone who organised this hugely successful dinner - the money raised was donated to BPW Nepal and PNG. Great women and wonderful energy at the Adelaide Parliament House! In 2017 BPW Adelaide hosted a very successful speed networking event at Parliament House to connect selected young professional women with some of the leading women of South Australia, including our Telstra Award winners. We establish club project teams to work on the local, national and international projects on which our club members have chosen to focus. We co-host an annual panel presentation with the Hawke Centre, UniSA: the 2017 BPW Hawke Centre panel focused on pay equity and the 2018 panel will focus on women in leadership and Parliament in SA [Monday 22 October 6pm, refer to the Hawke Centre website for details]. Currently we are working on a Scholarship with the Pharmacy Department of the UniSA to establish a scholarship in the name of Heather Southcott AM, who was a valued member of BPW and other women's organisations who we belive should be commemorated. Recognition of this nature tends to be given to men,and we believe women such as Heather are just as deserving. BPW Adelaide, along with BPW Adelaide Hills, spearheaded the inauguration of the White Ribbon Breakfast in Adelaide, working with a number of other women’s organisations in the first instance. This event is still led by BPW and is now organised by a committee of passionate men and women. They have grown the breakfast into a highly successful event over 9 years, emulating the popularity of the International Women’s Day Breakfast. The White Ribbon Breakfast committee succeeds in attracting high calibre speakers year on year, including Rosie Batty and (then) Chief of Army Lieutenant General David Morrison. To view the videos of the events, please click on the images.